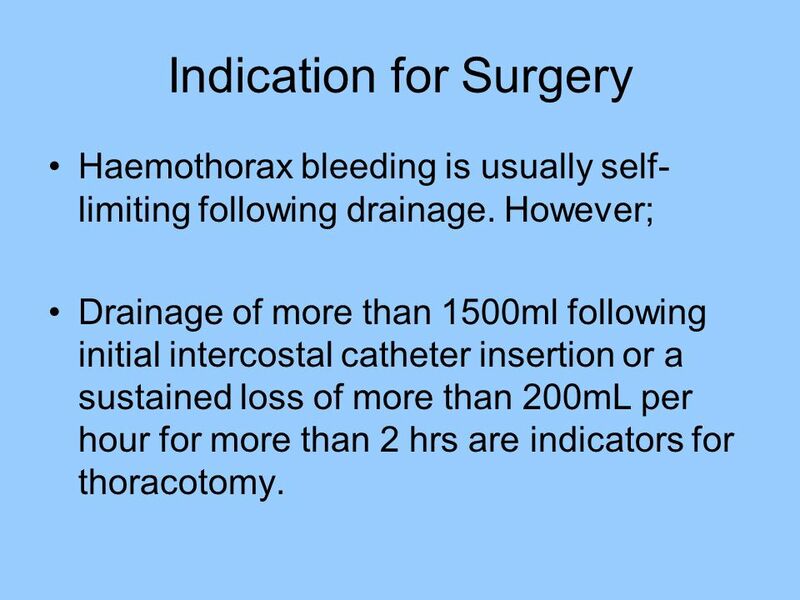 Haemothorax bleeding is usually self-limiting following drainage. 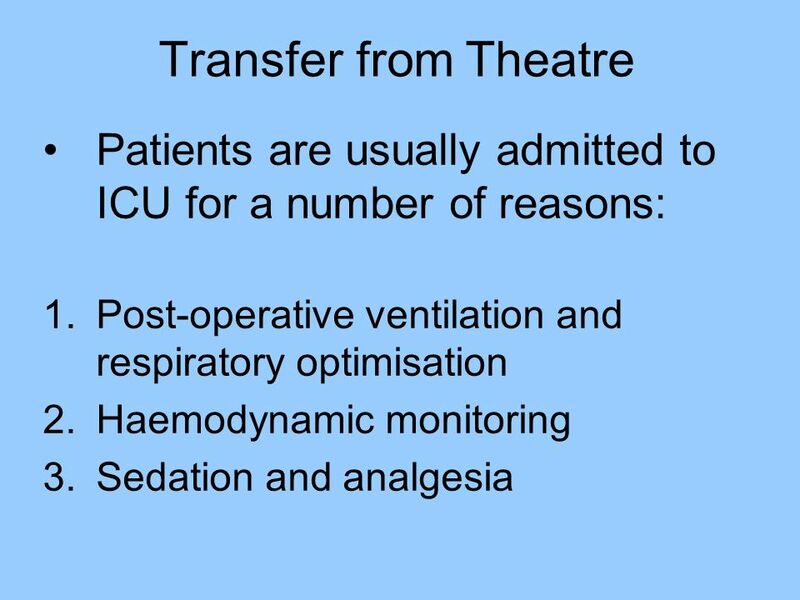 However; Drainage of more than 1500ml following initial intercostal catheter insertion or a sustained loss of more than 200mL per hour for more than 2 hrs are indicators for thoracotomy. 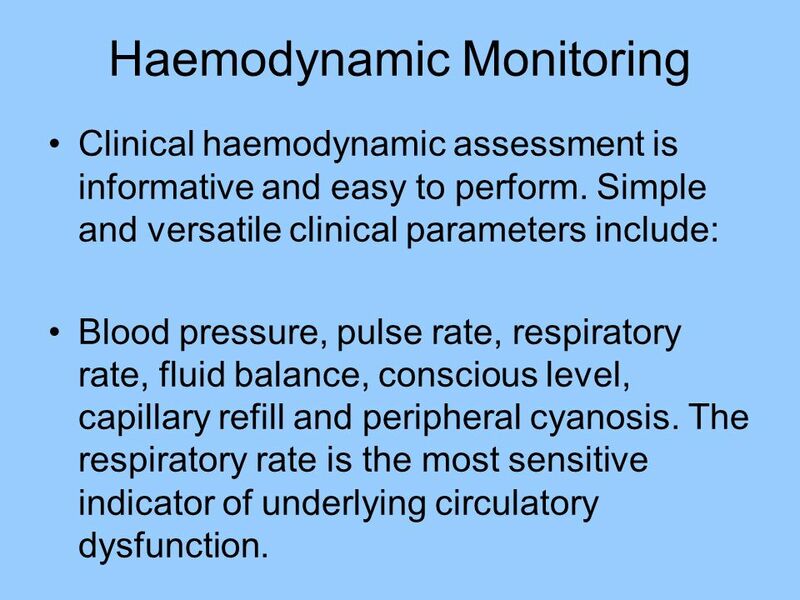 Clinical haemodynamic assessment is informative and easy to perform. Simple and versatile clinical parameters include: Blood pressure, pulse rate, respiratory rate, fluid balance, conscious level, capillary refill and peripheral cyanosis. The respiratory rate is the most sensitive indicator of underlying circulatory dysfunction. 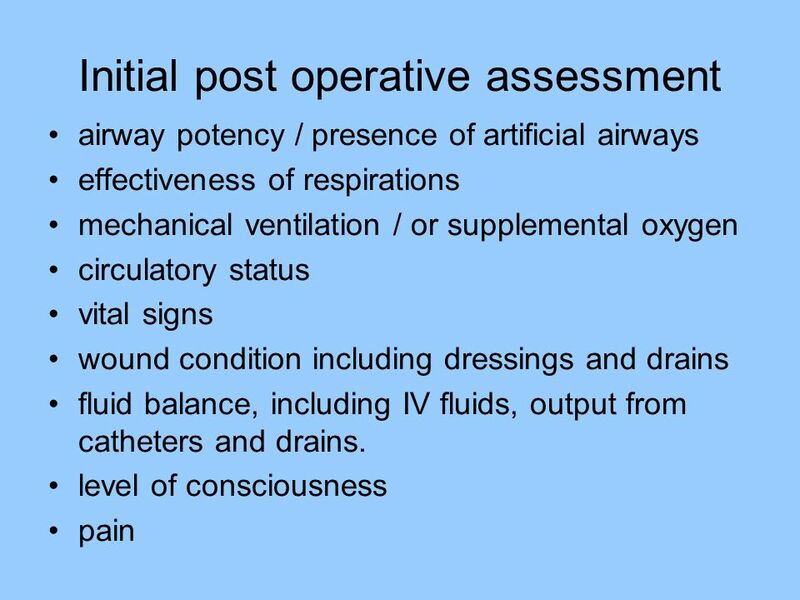 9 Airways & Breathing The airway should be examined to exclude any obstruction. 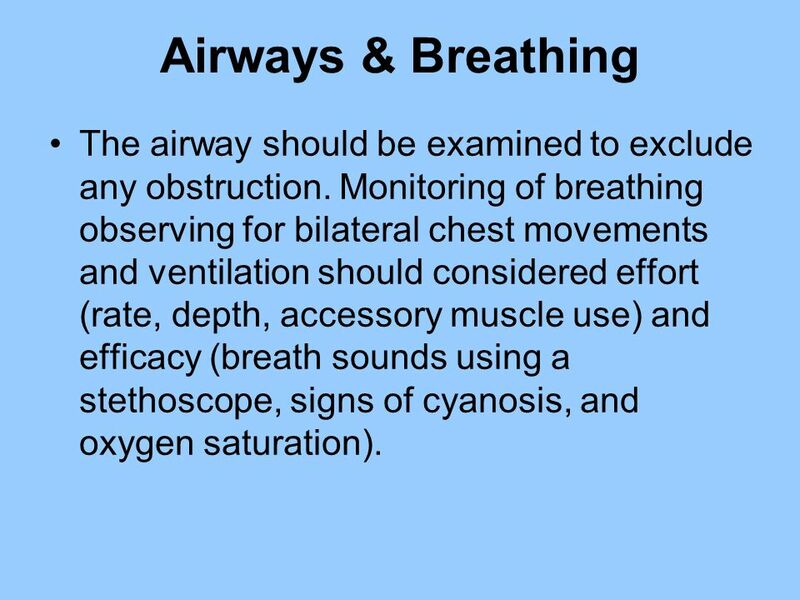 Monitoring of breathing observing for bilateral chest movements and ventilation should considered effort (rate, depth, accessory muscle use) and efficacy (breath sounds using a stethoscope, signs of cyanosis, and oxygen saturation). 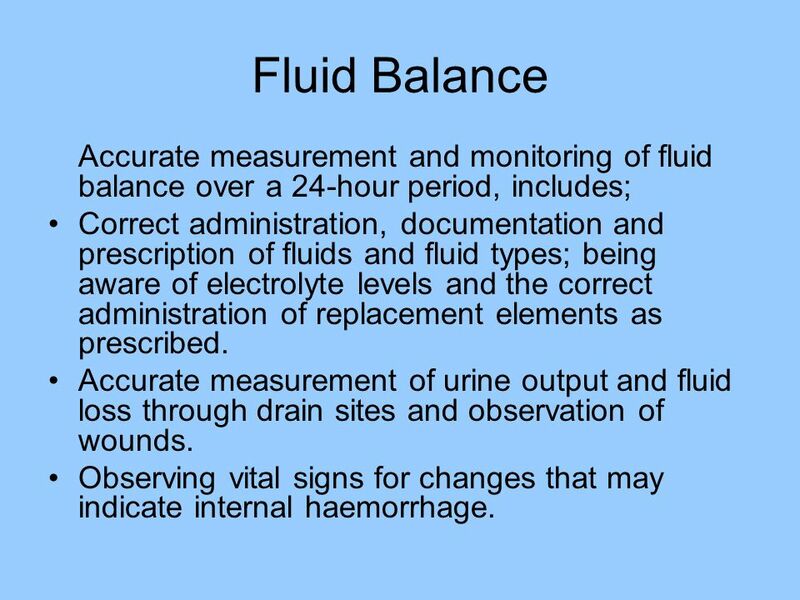 10 Fluid Balance Accurate measurement and monitoring of fluid balance over a 24-hour period, includes; Correct administration, documentation and prescription of fluids and fluid types; being aware of electrolyte levels and the correct administration of replacement elements as prescribed. Accurate measurement of urine output and fluid loss through drain sites and observation of wounds. Observing vital signs for changes that may indicate internal haemorrhage. 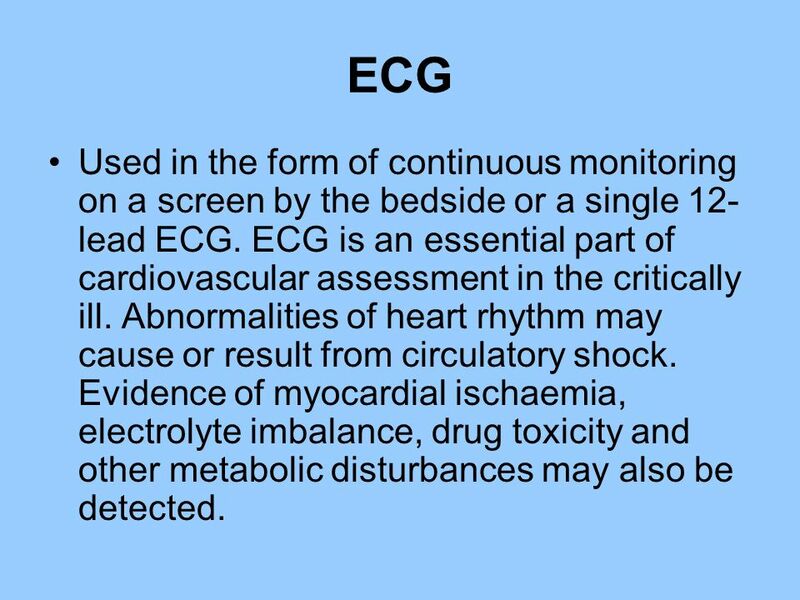 12 ECG Used in the form of continuous monitoring on a screen by the bedside or a single 12-lead ECG. ECG is an essential part of cardiovascular assessment in the critically ill. Abnormalities of heart rhythm may cause or result from circulatory shock. Evidence of myocardial ischaemia, electrolyte imbalance, drug toxicity and other metabolic disturbances may also be detected. 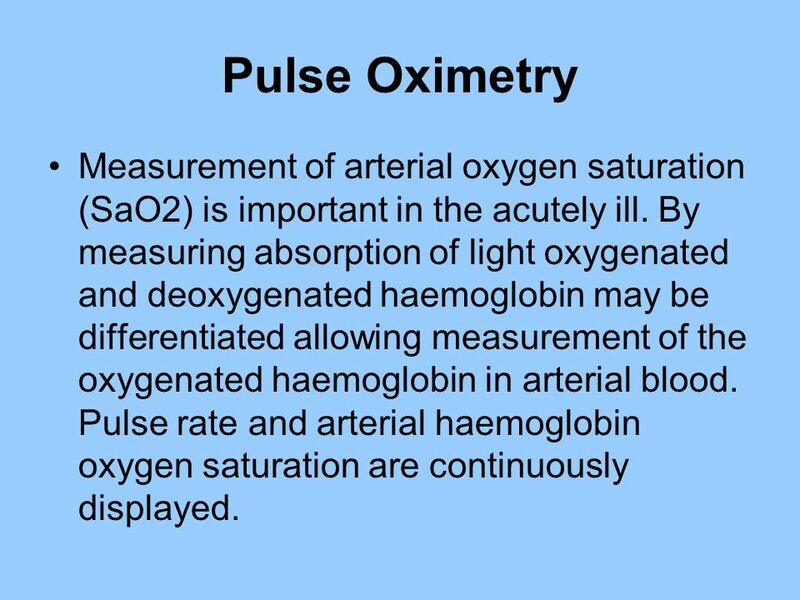 13 Pulse Oximetry Measurement of arterial oxygen saturation (SaO2) is important in the acutely ill. By measuring absorption of light oxygenated and deoxygenated haemoglobin may be differentiated allowing measurement of the oxygenated haemoglobin in arterial blood. Pulse rate and arterial haemoglobin oxygen saturation are continuously displayed. 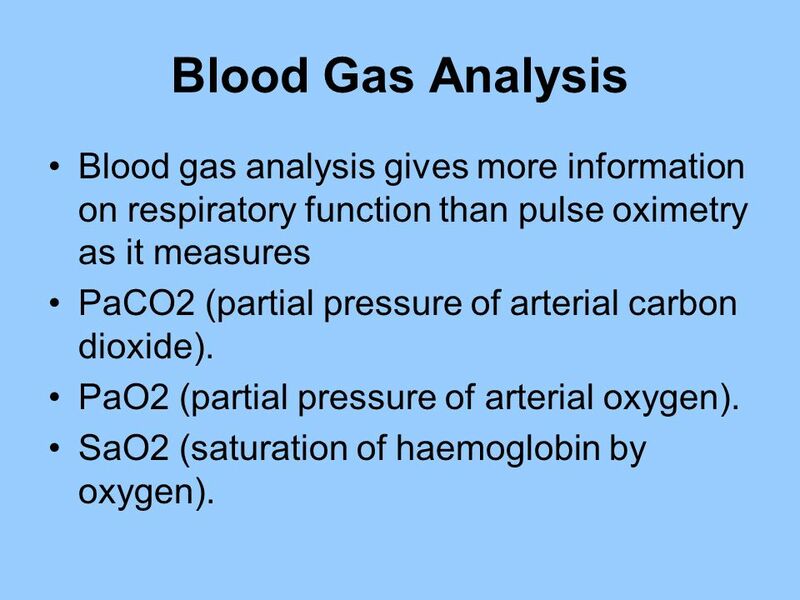 14 Blood Gas Analysis Blood gas analysis gives more information on respiratory function than pulse oximetry as it measures PaCO2 (partial pressure of arterial carbon dioxide). PaO2 (partial pressure of arterial oxygen). SaO2 (saturation of haemoglobin by oxygen). 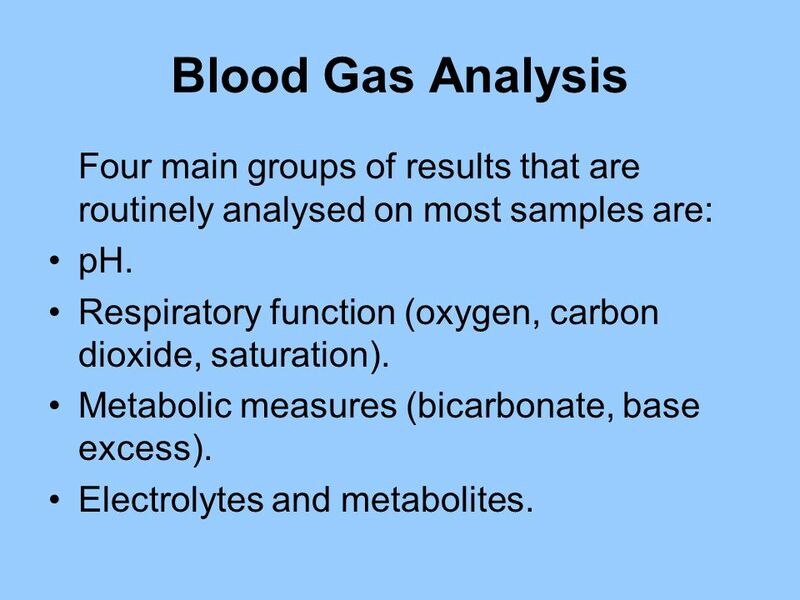 15 Blood Gas Analysis Four main groups of results that are routinely analysed on most samples are: pH. Respiratory function (oxygen, carbon dioxide, saturation). Metabolic measures (bicarbonate, base excess). Electrolytes and metabolites. 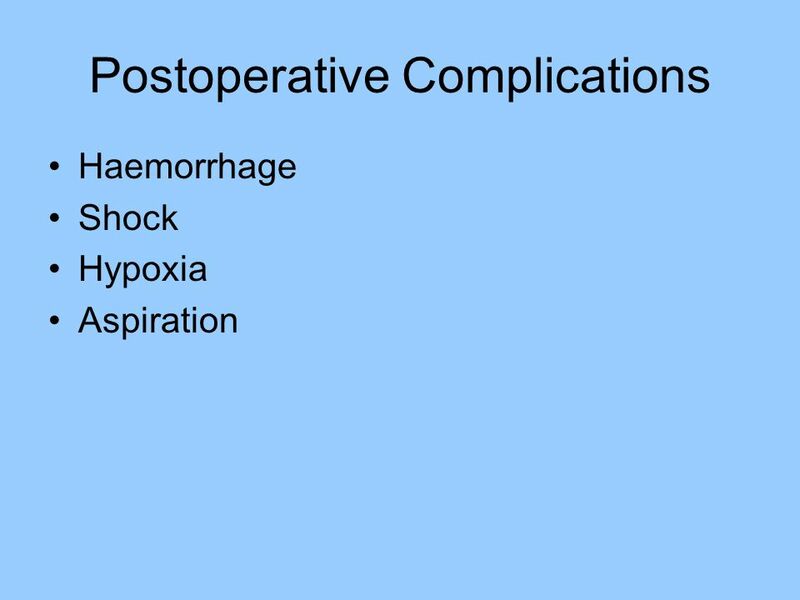 CVP is the most common parameter to be monitored invasively. 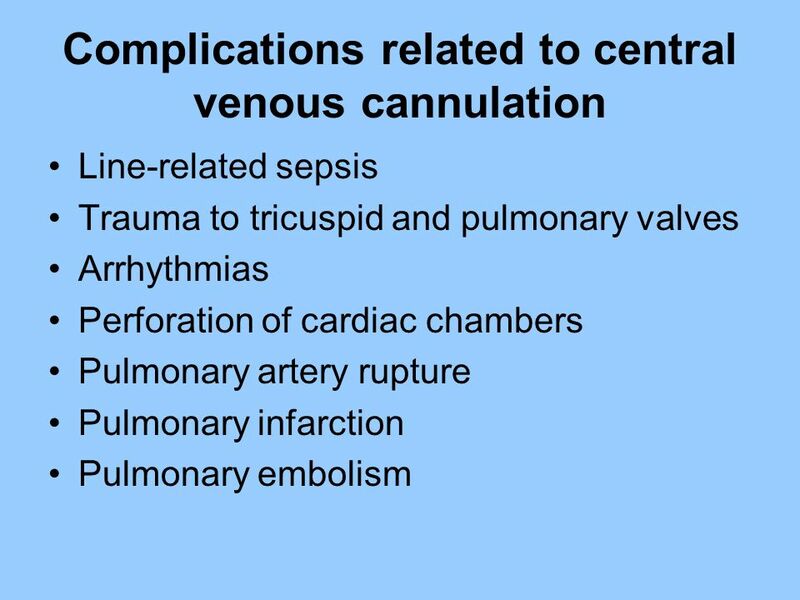 The CVP is usually measured in the superior vena cava. 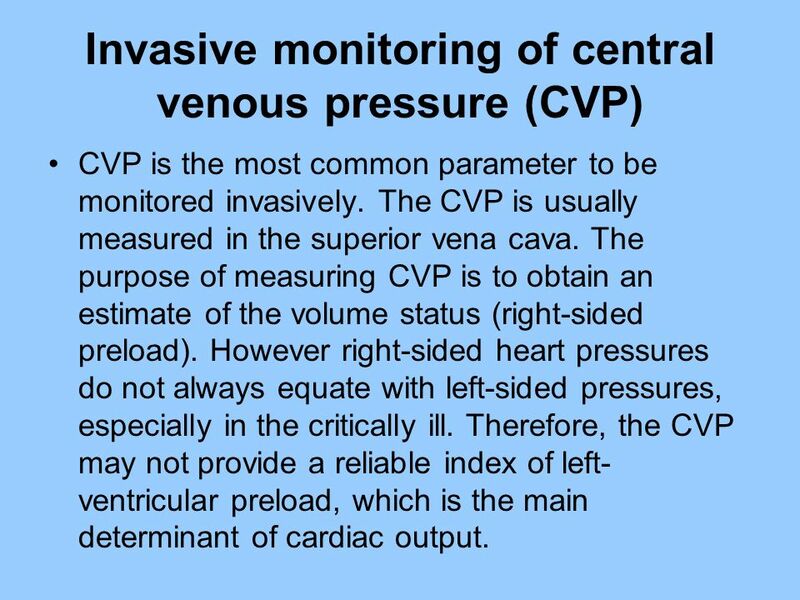 The purpose of measuring CVP is to obtain an estimate of the volume status (right-sided preload). However right-sided heart pressures do not always equate with left-sided pressures, especially in the critically ill. Therefore, the CVP may not provide a reliable index of left-ventricular preload, which is the main determinant of cardiac output. 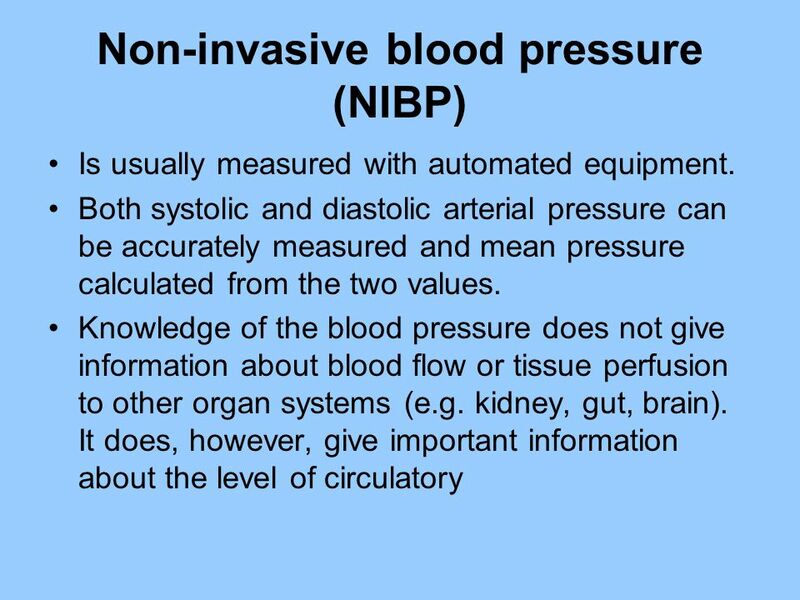 Used when a continuous reading of blood pressure is required. This allows early recognition of haemodynamic changes, especially in an unstable patient, as well as enabling repeated blood sampling for analysis of arterial blood gases. 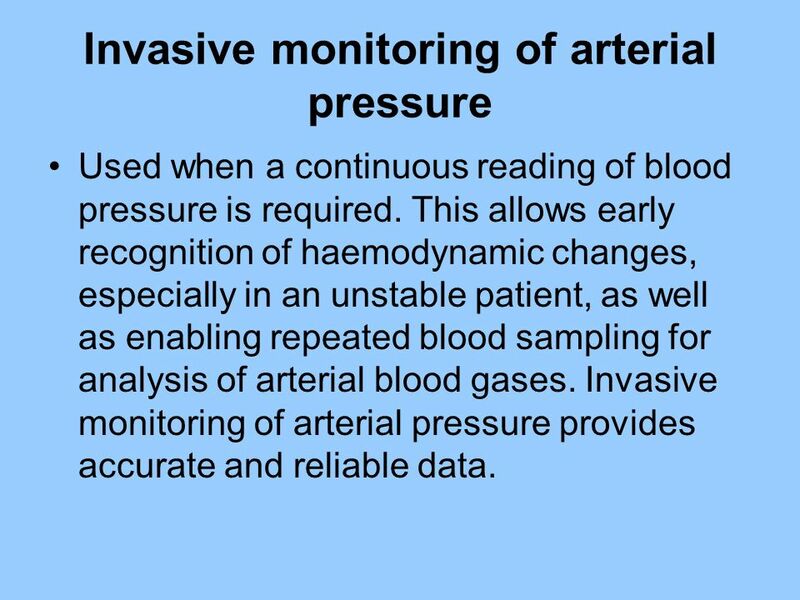 Invasive monitoring of arterial pressure provides accurate and reliable data. Measurement of cardiac output is recommended to ensure optimal fluid resuscitation and guide the choice of inotropic and vasoactive drugs. 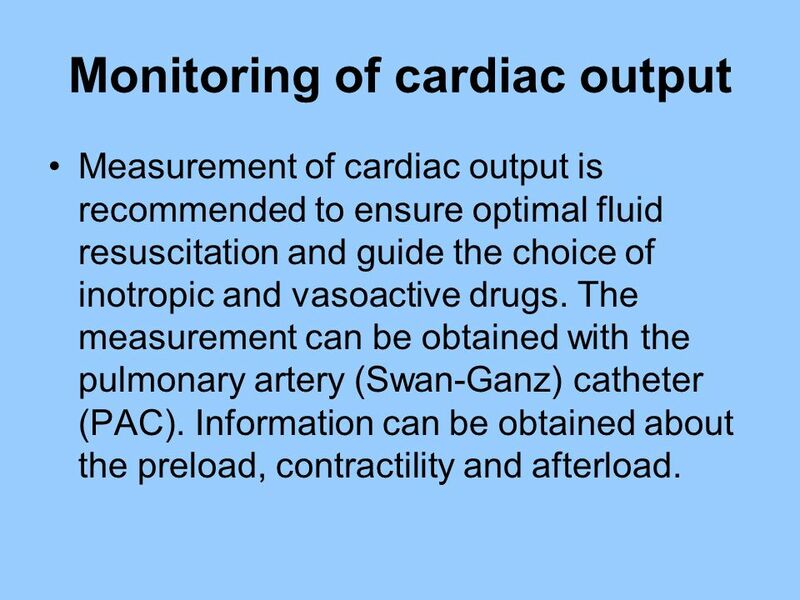 The measurement can be obtained with the pulmonary artery (Swan-Ganz) catheter (PAC). Information can be obtained about the preload, contractility and afterload. 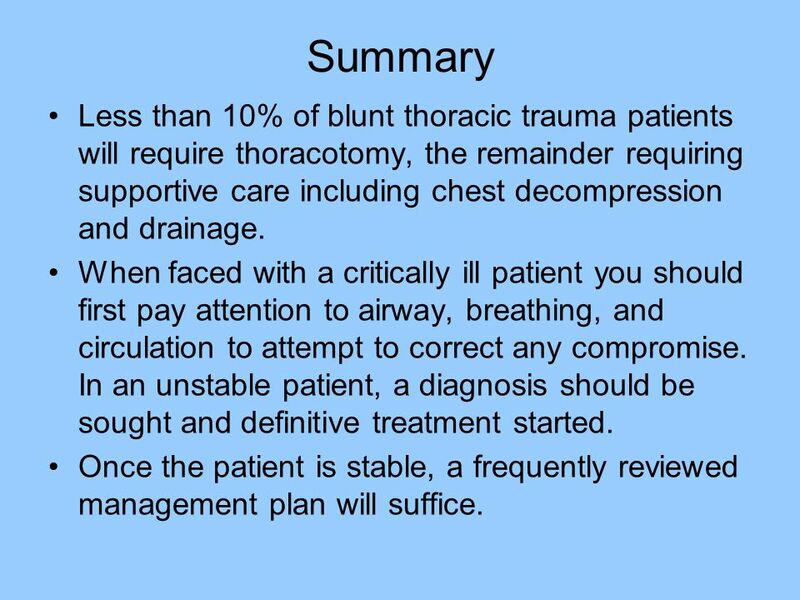 20 Summary Less than 10% of blunt thoracic trauma patients will require thoracotomy, the remainder requiring supportive care including chest decompression and drainage. 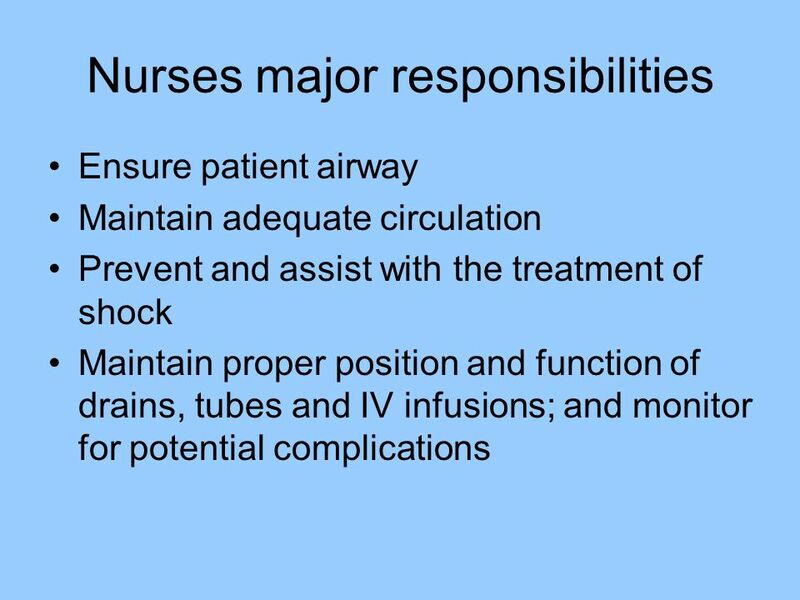 When faced with a critically ill patient you should first pay attention to airway, breathing, and circulation to attempt to correct any compromise. In an unstable patient, a diagnosis should be sought and definitive treatment started. Once the patient is stable, a frequently reviewed management plan will suffice. 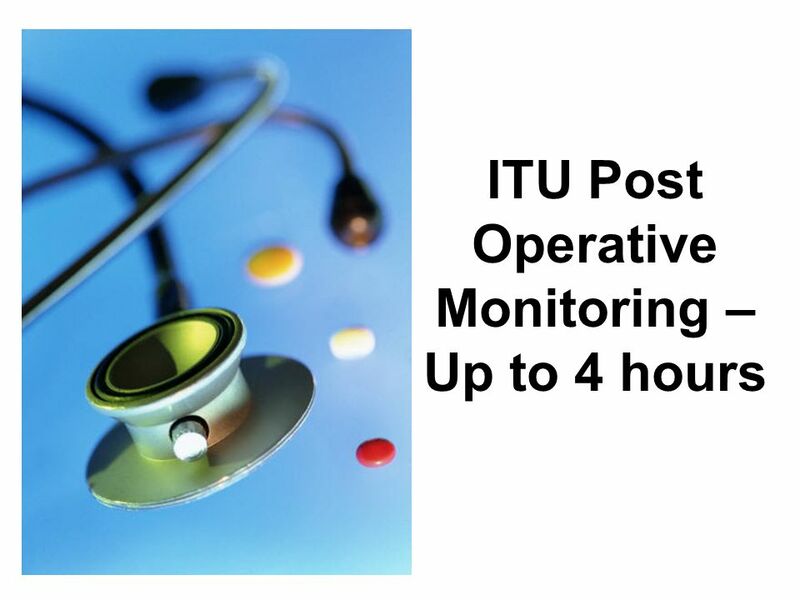 Download ppt "ITU Post Operative Monitoring – Up to 4 hours"
Dr Bronwyn Avard, July 2010  To understand the basic physiology of shock  To understand the pharmacodynamics and pharmacokinetics of vasoactive drugs. 5/24/ HEMODYNAMIC MONITORING. OBJECTIVE 5/24/ Describe the three attributes of circulating blood and their relationships. 2. Identify types. 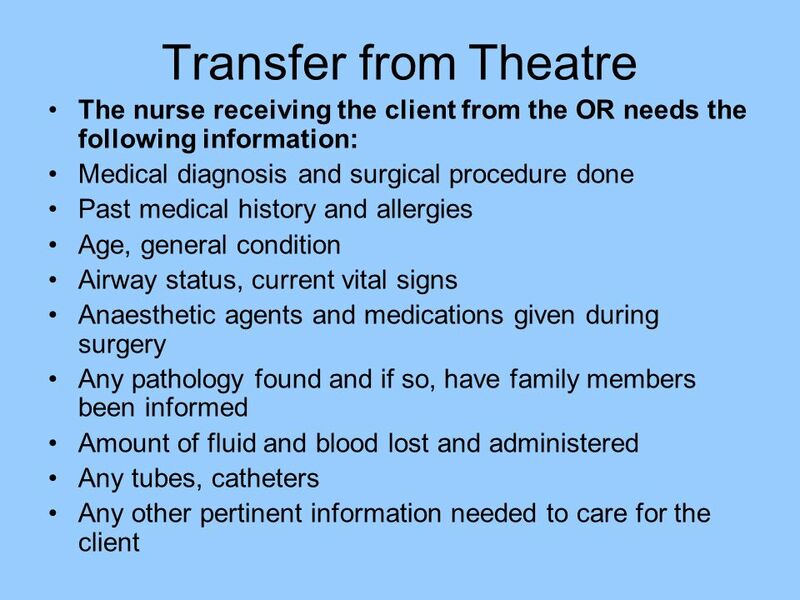 ADMISSION CRITERIA TO THE INTENSIVE CARE UNIT د. ماجد عمر القطان إختصاصي طب طوارئ. Pressure, Flow, and Resistance Understanding the relationship among pressure, flow and resistance can help you understand how cardiac output and vascular. Hemodynamics Is defined as the study of the forces involved in blood circulation. Hemodynamic monitoring is used to assess cardiovascular function in the. Chapter 22 Chest Injuries. Chapter 22: Chest Injuries 2 Differentiate between a pneumothorax, a hemothorax, a tension pneumothorax, and a sucking chest.